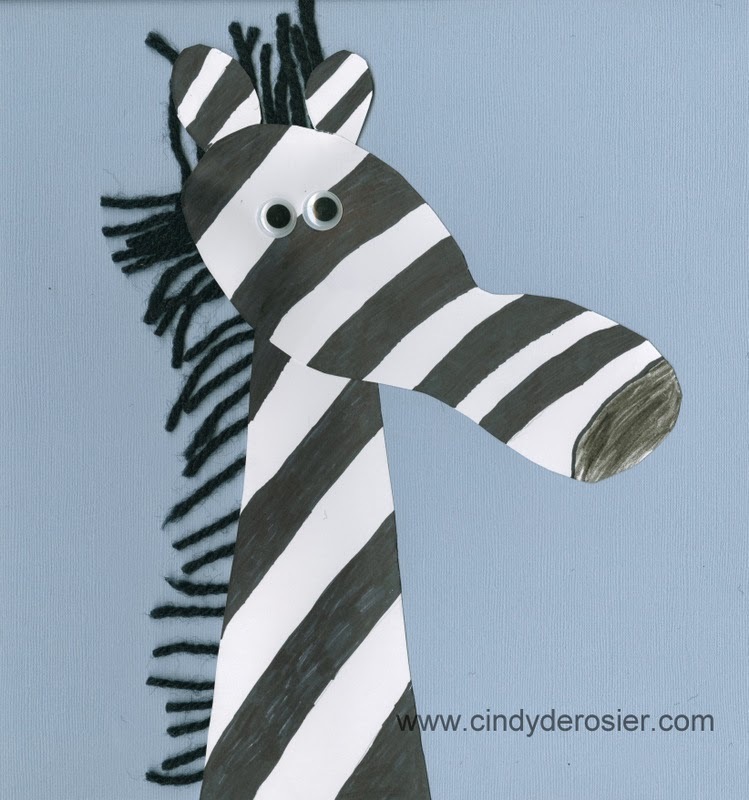 The final craft for The Cursive Project was a zebra. While we'd made a zebra pinata before, I had no problem making a different zebra craft. 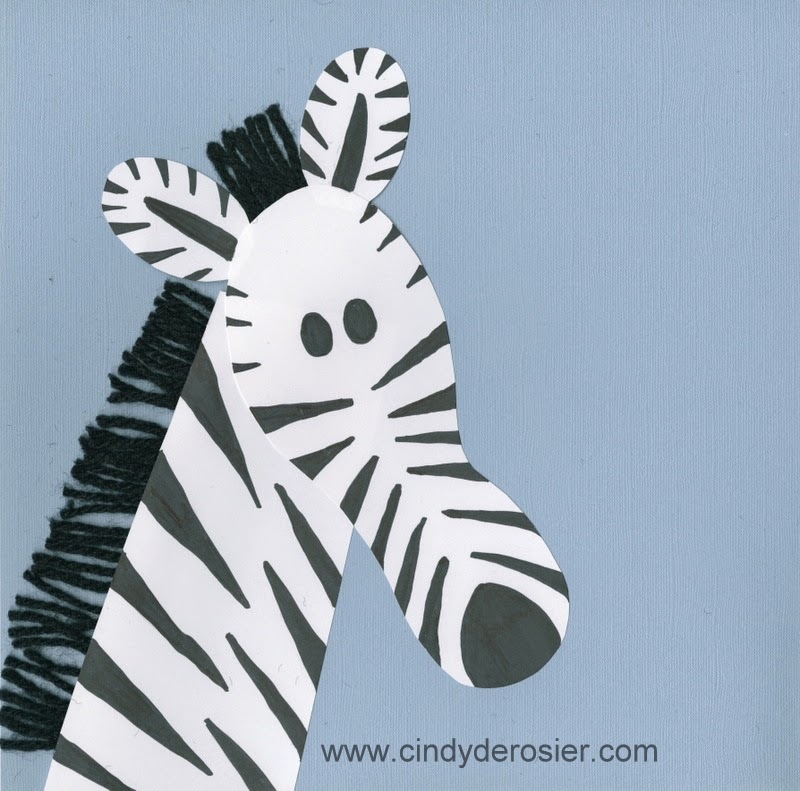 A pinata is such an involved task that having a simple zebra in my list of Crafts from A - Z would be good. We based our zebra on the Footprint Giraffes we made years ago. We traced Trevor's left shoe on white cardstock, then cut out a neck and two rounded ears. We used a Sharpie to add black stripes, eyes, and a nose. Then it was time to add his mane. We took black yarn and looped it back and forth, then cut through the loops to make a whole bunch of pieces that were all the same size. We turned the neck piece over and added a strip of adhesive, then pressed the mane pieces in place. We added adhesive between the ears and added the rest of the mane. This is my zebra. I didn't cut down the blue cardstock base yet, because I have some plans in mind. Stay tuned! Now that Trevor has learned how to write all the letters from A to Z in cursive, he's putting it all together and writing a sentence for each of the crafts he made throughout the month. He's enjoyed learning cursive and we've both had fun doing all this crafting together. The Cursive Project has officially been a great success! Congratulations on making out all the way through! What an awesome summer project! You did an amazing job with this cursive project. So impressed with all your creative ideas. Love the link between writing and crafting. You did a great job at making learning fun. The zebras are adorable! This is SOO cute Cindy!